The Sustainable Energy Roadmap team has worked in close coordination with the City of Fresno to develop a customized policy roadmap containing guidance on how to transform the local new energy economy. 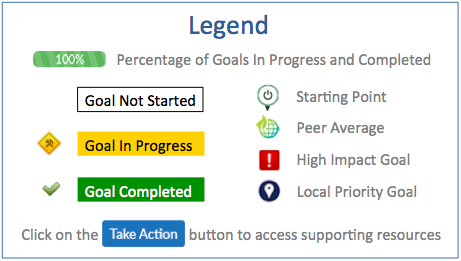 Each recommended roadmap goal is supported with relevant case studies, reports, and templates to support local and regional implementation efforts. Initial Status: The City has not set an energy efficiency target specifically for municipal buildings, but has set a target for City operations. Action Taken: Chapter 7 of the 2014 Fresno General Plan states for Fresno to increase use of renewable energy to meet 50% of annual electrical consumption for City operations and reduce the City's peak electrical load by 10% through energy efficiency/conversation. Initial Status: There is no ordinance requiring non-residential building energy benchmarking and public disclosure that is compliance with AB 1103. According to the General Plan, the city will promote the Energy Use Disclosure. Initial Status: There is no energy conservation ordinance for residential or commercial, but the city has the Home Energy Tune (HETU) and BETU Programs. City of Fresno implemented the Fresno Energy Watch Program as part of the Fresno Small Business Energy Makeover. Initial Status: Has set water conservation target for municipal operations that exceeds state reduction goals. Initial Status: Has adopted a community-wide water conservation ordinance to comply with state reduction goals. Initial Status: Has implemented expedited permitting measures for qualifying energy efficiency upgrades. Initial Status: Has reduced or eliminated permitting fees for high-efficiency equipment upgrades. Initial Status: Has added an energy element or sustainability element to the municipal general plan. Action Taken: General Plan sustainability element can be found in Chapter 7: Resource Conservation and Resilience. Initial Status: According to the General Plan, a 10 to 20 percent reduction in water use in most new construction will occur. Initial Status: Has explored adoption of a graywater ordinance. Action Taken: City of Fresno plans to peruse the development of a recycled water system, stated in the General plan Chapter 6: Public Utilities and Services. Initial Status: Publicizes available rebates and incentives for efficiency upgrades to community. Initial Status: Publicizes available incentives & financing for efficiency upgrades to public agencies. Initial Status: Energy and water efficiency upgrades are eligible in local PACE program. Initial Status: Publicizes financing programs and innovative financing models for efficiency projects. Initial Status: Publicizes incentives for water efficiency upgrades and water-conserving appliances. Initial Status: Promotes water or energy efficiency incentives and financial resources to local industries. Initial Status: Provides educational materials on energy efficiency resources to the community. Action Taken: City of Fresno provide free energy assessments through the BETU and HETU programs to educate home and business/building owners about the inefficient areas of their house or facility. Initial Status: Promotes energy inefficient appliance trade-in programs to residents and businesses. Initial Status: Has implemented energy upgrade program for residents and local businesses. Initial Status: Provides educational materials on water conservation and efficiency to residents/businesses. Initial Status: Publicizes energy efficiency-focused trainings and resources to local technicians. Action Taken: The Water/Energy Nexus provides pump and well efficiency workshops. Initial Status: Has partnered with local organizations to provide energy efficiency training programs. Action Taken: Working with Fresno State and the Great Valley Center, the Water/Energy Nexus workshops were created. Fresno State also provides pump efficiency tests. Initial Status: Publicizes water efficiency technical training or resources to community. Initial Status: Target has not been set for municipal facilities but a target has been set to increase use of renewable energy to meet 50% of annual electrical consumption for City operations. [POL3] Create renewable portfolio standard for municipal electric utility in line with the state requirement for investor-owned utilities. Initial Status: No renewable portfolio standard currently in place for municipal electric utility. Guidance: Establish a working group to evaluate the feasibility of adopting a renewable portfolio standard (RPS) for the municipal utility that equals or exceeds the state requirement of 33% for investor-owned utilities. Consider incorporating renewable energy and energy efficiency measures and strategies into integrated resource planning efforts, or exploring renewable energy power-purchase agreements. Initial Status: Has adopted expedited permitting for qualifying systems using a standardized application. Initial Status: Has incorporated renewable energy goals and strategies into long-term planning documents. 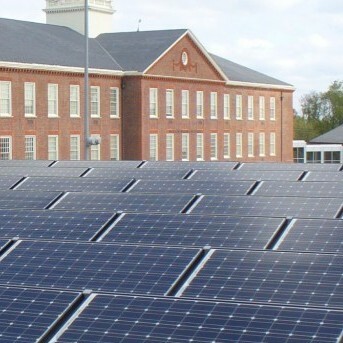 Initial Status: Measures in place to encourage new construction to be built "solar ready." Initial Status: Publicizes available rebates/incentives for renewable energy to residents and businesses. Action Taken: City of Fresno publicizes available rebates and incentives through the Home Energy Tune Up program and Business Energy Tune Up Program. Initial Status: Publicizes existing financing programs and financing models for renewable energy projects. Action Taken: HERO provides a financing opportunity for renewable projects for Fresno residents. https://www.heroprogram.com/ca/Fresno/Products. Other financing programs include: PACE program, Synergy Companies, PG&E OBF Program, and others provided by Fresno's EDC. Initial Status: Renewable energy and energy storage systems are eligible in local PACE program. Initial Status: City has supported a community-based bulk purchase program for renewable energy systems by hosting workshop on solar collaborative purchasing with regional participants. Action Taken: City has engaged industry experts to start an initial assessment of several closed landfills for solar development. Initial Status: Publicizes renewable energy trainings for local professional development resources. Action Taken: City of Fresno is part of the Fresno Energy Watch program, which has promoted No-Cost Energy Code Training, Title 24, to examiners, engineers, inspectors, fire departments, energy consultants, real-estate agents, electricians and installers. 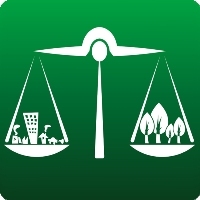 Initial Status: Promotes green business programs or resources to local community. Action Taken: Fresno Energy Watch provides information on free energy assessments, benchmarks, financing programs and rebates for energy upgrades. The energy assessments reports, provided by the BETU Programs, lists energy programs which can help businesses. Initial Status: Has integrated transportation-related smart growth strategies into long-term planning docs. Action Taken: The Smart Growth principles have been integrated into the General Plan. Principal 8: Provide a variety of transportation choices. Initial Status: Has explored development of infrastructure for safe, efficient pedestrian and bicycle transit. Action Taken: City of Fresno has adopted the Complete Streets concept into the General Plan. Complete Streets provides safety for a multi-modal transportation system, minimizing car travel and encourage other modes of transportation. Initial Status: Has updated zoning code to encourage transit-oriented development and urban infill. Action Taken: Infill Development can be found in the General Plan, Chpater Three, Section Three. Transit-oriented development has been incorporated in different future projects, listed in the General Plan. Initial Status: Does not offer data or channels to give the public access to information on environmental hazards.